British jazz-funk combo Shakatak formed in London in 1980; originally comprising keyboardists Bill Sharpe and Nigel Wright, guitarist Keith Winter, bassist Steve Underwood and drummer Roger Odell, the group quickly scored an underground hit with its debut single Steppin’ , cracking the British Top 50 the following year with the singles Livin’ In The UK and Brazilian Dawn . Their debut LP Drivin’ Hard was also well-received, and with the 1982 follow-up Nightbirds , Shakatak (which replaced Underwood with bassist George Anderson) scored their first Top 20 hit in Easier Said Than Done the disc’s title track also rocketed into the Top Ten. Nightbirds also introduced singer Jill Saward, who emerged as Shakatak’s lead vocalist with the band’s fifth album. 1984’s Down On The Street , which notched the hit Watching You . 1985’s Live preceeded the release of the group’s next studio effort, Day By Day . A series of largely instrumental albums including Into The Blue , Golden Wings , Da Makani and Nitelite were then issued exclusively in Japan, where Shakatak enjoyed immense popularity; in the meanwhile 1988’s Manic And Cool was released internationally, highlighted by the singles Mr. Manic And Sister Cool and Something Special . After 1992’s Open Your Eyes topped Billboard’s Contemporary Jazz chart, the band supported 1993’s Street Level with a tour of South Africa, while the following year’s Full Circle expanded into hip-hop beats. 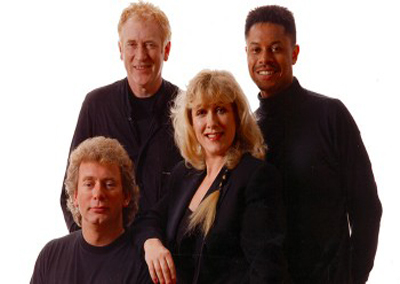 In 1997, Shakatak – now consisting of Sharpe, Odell, Saward and Anderson – resurfaced with Let The Piano Play , followed by both Let The Music Play and Magic in 1999 and Under Your Spell in 2002.